The Cassini spacecraft observes a gathering of three moons near the rings of Saturn. 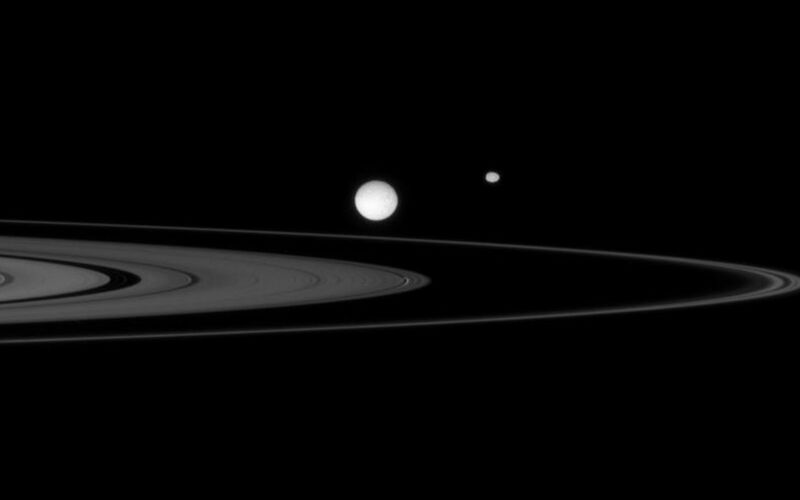 Largest in the scene, Mimas (397 kilometers, or 247 miles across) sits on the side of the rings nearer to Cassini. Oblong Epimetheus (116 kilometers, or 72 miles across) lies on the distant side of the narrow F ring. Less obvious is tiny Daphnis (7 kilometers, or 4.3 miles across), which is made easier to spot by the waves it creates in the edges of the narrow Keeler Gap. 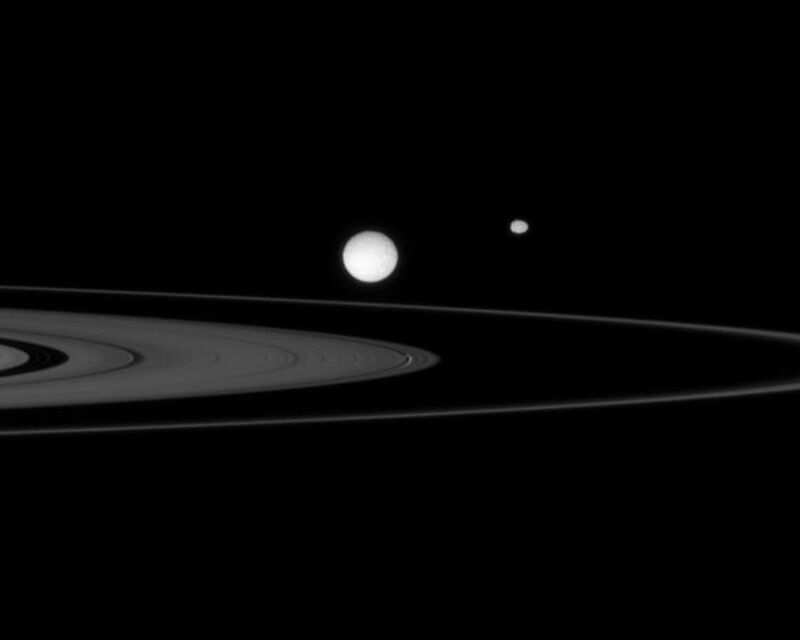 Daphnis appears directly below the eastern limb of Mimas.